In this video, Chris Christie is asked about some GOP's tactics of trying to force a government shutdown. What follows is a transcript and a partial body language analysis. Reporter: "Do you think that the republicans should be ... forcing a shutdown of the government if they don't get their way?" 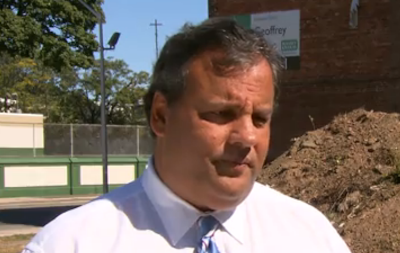 Christie: "No. I think there's got to be a solution other than that. And I don't think we should be doin' that. I don't think, and I, and I quite frankly, to be fair, I don't think you hear responsible republican leaders advocating a shutdown of the government." Reporter: "So those who are advocating it, are they irresponsible?" Christie: "Well I think it's always irresponsible if you're running the government to be advocating for shutting it down.... That by definition is a failure.... You gotta work it out. They'll work it out this week. I, I'm confident they will - because I don't think anybody wants to go down that road." Beginning at 0:11, just after the reporter says, "...republicans ...", the New Jersey Governor's mouth opening becomes foreshortened along with a thinning of his lips (particularly his upper lip), a tightening of the "mustache area" as well as a slight dilation (flaring) of his nostrils. This cluster of findings is a very brief yet highly reliable display of anger. Christie does not want to be forced into talking against his own party. Do you see any additional nonverbal signs consistent with anger? At 0:13 seconds Gov. Christie swallows hard. He repeats this signal two additional times in this short video (at 0:28-29 and again at 0:36 - 0:37). This is a highly reliable signal of anxiety. At 0:19 in particular (just after Christie says, "... government ...") this signal of nervousness is of paramount importance, for although he does not mention Senator Ted Cruz by name, Christie is clearly drawing a line in the sand. 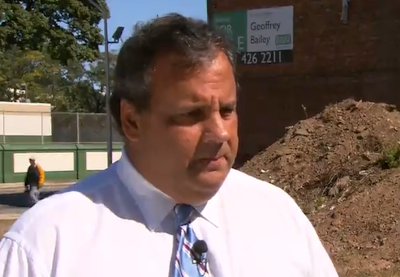 At this moment Governor Christie is nonverbally announcing (telegraphing) his candidacy for U.S. Presidency in 2016. Negotiation Secret # 351: Some Subtle and not-so-subtle signs of anxiety, discomfort, anger, fear, etc.